A PDF file is not editable unless you use a tool, that's a common factor everyone knows. However, converting the Pdf to Doc is another part of the game. Yes, there are many online methods available which you can use to easily convert pdf to .doc & .docx for free. Pdf to word converter can do this such a job anytime, anywhere online from Google Drive. However, if you want to convert a file without using any software then you can convert pdf to word using Google Docs with the efficiency of 100%. In this article, we have mentioned the best ways to convert pdf to word using Google Docs. 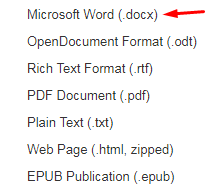 If you need the easiest approach to convert for free, you can convert and save Pdf to Microsoft Word format(.docx) using Google Docs. Also, you can download the .docx file from Google Docs after converting this from pdf. For changing a pdf file to word document you can either use the online converting website or the free pdf converter tool. The pdf converter software keeps the signature or images quality same while converting to a doc file. Furthermore, the online sites can handle pdf fonts and tables easily while converting the pdf to a word document. Although, in pdf, those are images actually. Let's discuss some of the best options for converting pdf to word just to complete the process quickly and easily. Why Should You Change Pdf to Word File? If you need to make any correction on the pdf, the only option is to edit by converting it into a doc file. If you don't have a pdf reader just convert it directly to doc file to view the file quickly. You cannot add a table or columns in pdf, to do so just convert the pdf to doc file. Now, let's start the step-by-step guide to convert the pdf file to Microsoft word in multiple ways online. 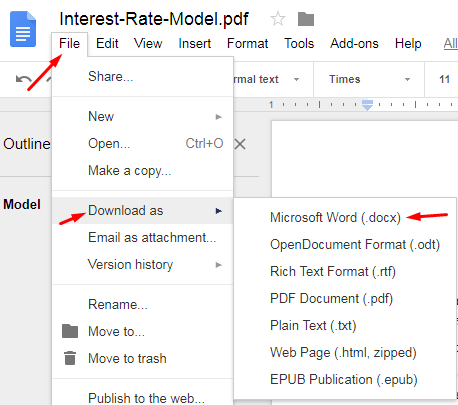 How to Convert Pdf to Docx using Google Docs? At first, open your Gmail and go to Google Drive to add the pdf. Now, click on 'NEW' and then click 'File upload'. Just select the pdf you want to upload from PC and let's complete the upload automatically. Once uploaded, just click on that file. It will open the menu. Now, click on the three dots icon. 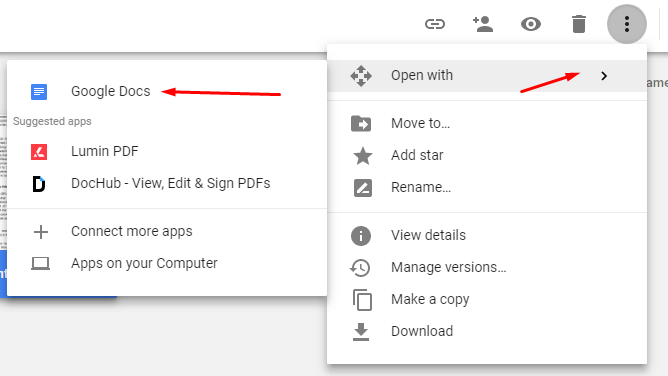 Now select the 'Open with' and hit 'Google Docs' option. It will open the file. You can now edit and free to make any changes. Once complete, just click on 'File' and select 'Download as' to Microsoft Word (.docx). This pdf will start to download and will be saved on your PC in .docx format. 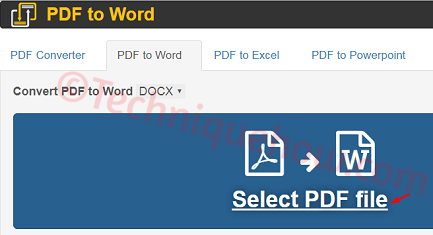 How to Convert PDF to Word Online? Now, select the PDF file from your PC to convert into Docx or Doc. Now it will start the conversion automatically. Once it is complete you can download the same just by clicking on 'Download' option. 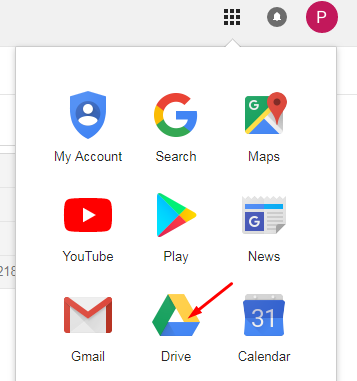 You can also Save that file to Google Drive as well. How to Convert PDF to Doc Online? Now, select the format you want to convert. (e.g. PDF to DOC). Then click 'UPLOAD FILES' to choose the files to convert. Now, once you add, convert process will start instantly and will complete all files one by one. Just click on 'DOWNLOAD ALL' to download all files. 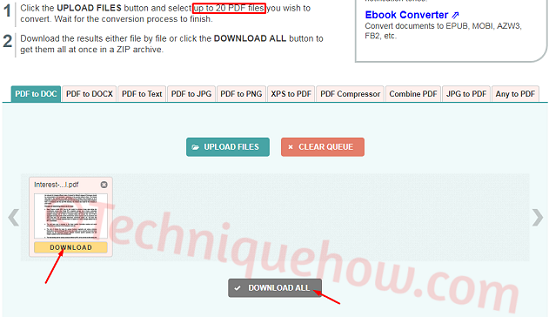 You can download a particular file also just by clicking 'DOWNLOAD' option below the converted file. This site can convert up to 20 files at a time. Then choose a file by unloading from PC. Also, you can add files from Dropbox and Google Drive also. Now the file will be converted into .docx file. 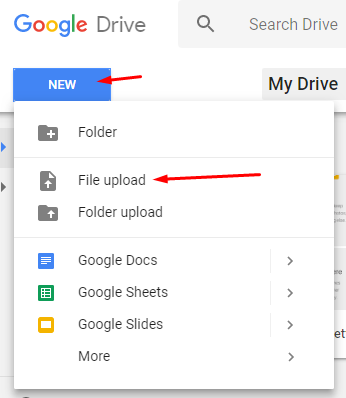 Now you can download the file or can move that word file to Google Drive and Dropbox. These are the procedures might help you to convert pdf to Microsoft word format easily. Just follow the guide and you will be able to get your conversion done easily.